We're working our way through convention season. Last weekend was KingdomCon. The week before that was PAX East. Next week is CMON Expo. If you're out going to shows, you might have less funds than usual for gaming. 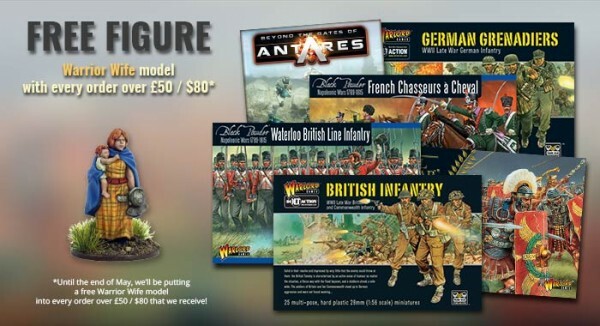 Well, the folks at Warlord Games still want you to be able to get the figures you want, so they've got various different deals going on right now over in their webshop. Starting off... well... we've got Starter Army Deals. 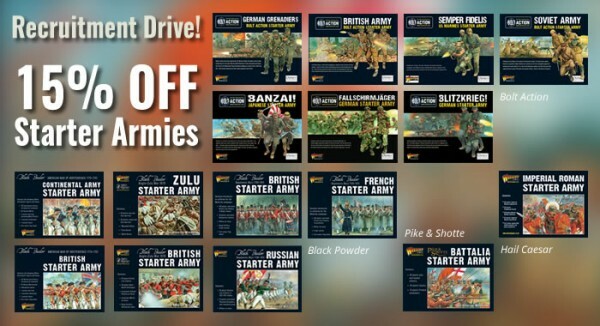 Just check out the various sets for Bolt Action, Hail Caesar, Black Powder, and Pike & Shotte. Whichever era you feel like playing in, they've got a starter deal for you. Along with that, there's the Warrior Wife deal. Just buy £50 worth of figures from Warlord and they'll throw the mini in for free. 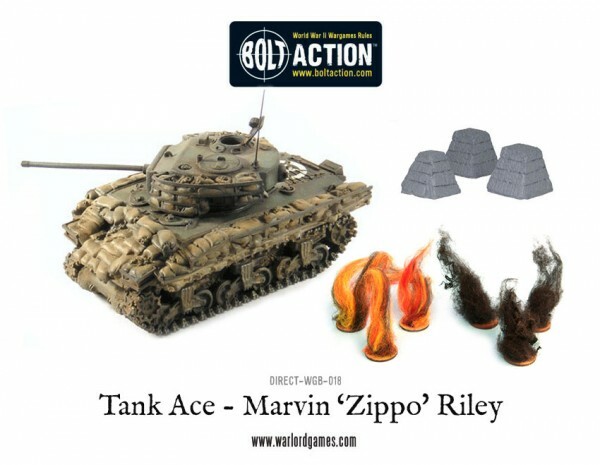 Specifically for Bolt Action, they've also got some special Tank Aces deals for this month. They've created four special Tank Ace characters for the game and have them available for a special price in their webshop. The model's stats were created using the Tank War supplement and are ready to make their presence known on your tabletop.